The Toronto condo bubble is truly unprecedented. Fine, maybe the apartment boom in Mumbai is a bit larger but hey, ex-Bombay has five times the population of the City of Toronto. So here are the facts. 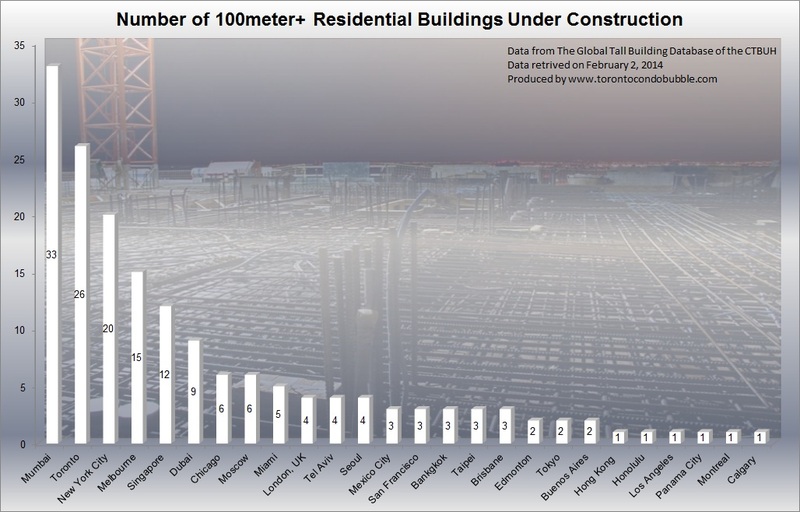 Since 2000 there were only 4 office towers built in Toronto with height of 100 meters or more. 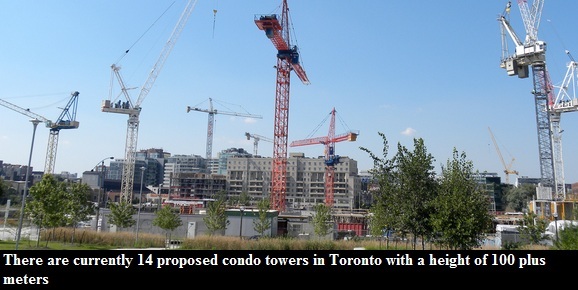 During the same time span there were 7 residential/hotel towers built (100m+) and a whopping 27 condo buildings. As of this moment there are 26 new condo towers (100m+) under construction in the City of Toronto and only 2 office towers. Condo bubble anyone? Below is a list of the 26 condo towers (100m+) currently under construction.